On the eve of International Women’s Day, Femina – India’s first and largest read women’s lifestyle magazine in association with iconic beauty brand – L’Oréal Paris present the third edition of the L’Oréal Paris Femina Women Awards. Lauding women of worth, the awards will be held in Mumbai on 27th March 2014. 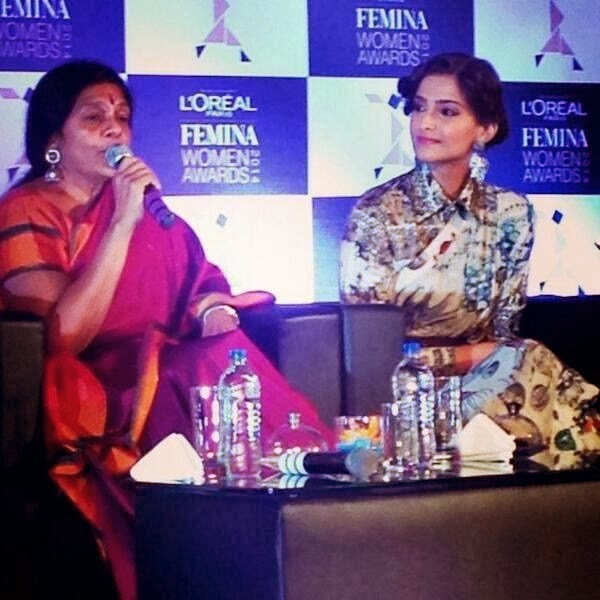 Present at a special ceremony to announce the nominees were Tanya Chaitanya (Editor, Femina), Manashi Guha (General Manager, L’Oréal Paris) and Sonam Kapoor (L’Oréal Paris Brand Ambassador). Honoring women with extraordinary accomplishments, outstanding leadership qualities and exceptional commitment to their careers and communities; the L’Oréal Paris Femina Women Awards will have 14 categories including science, business and entrepreneurship, sports, art, and education, among others. The nominees have been shortlisted after an extensive research process while identifying each one’s key contribution in their respective fields. These unique awards recognize and felicitate Women of Worth, while celebrating the many facets of their growth. · Dr Swati Pirmal, vice chairperson, Piramal Enterprises Ltd.